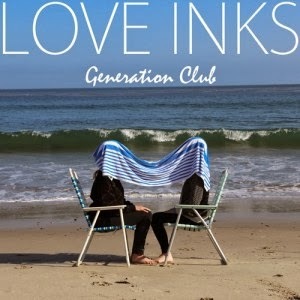 Texan trio Love Inks returned this week with a new album, 'Generation Club', following 2011's debut record 'E.S.P'. Have a listen to the serene synth-pop of 'Solar Diary' below, and have a bonus video of fellow album track 'Outta Sight'. There's an endearingly woozy, lo-fi nature to 'Solar Diary' - undoubtedly complemented by the sublime vocals of Sherry LeBlanc. 'Outta Sight' takes a more driven approach to proceedings, although has its own charming dream-like quality. Stream the rest of the album over at Spin for a limited time. Find more info at loveinks.com.